New research from South Korea shows that SCENAR is far more superior for treatment of chronic neck pain than TENS devices. The research abstract was presented at the European Pain Federation EPIC in Vienna, Austria this October. Background and aims: Chronic neck pain is a common condition entailing the high cost of pharmacological treatment, but it has limited evidence of efficacy and side-effects. 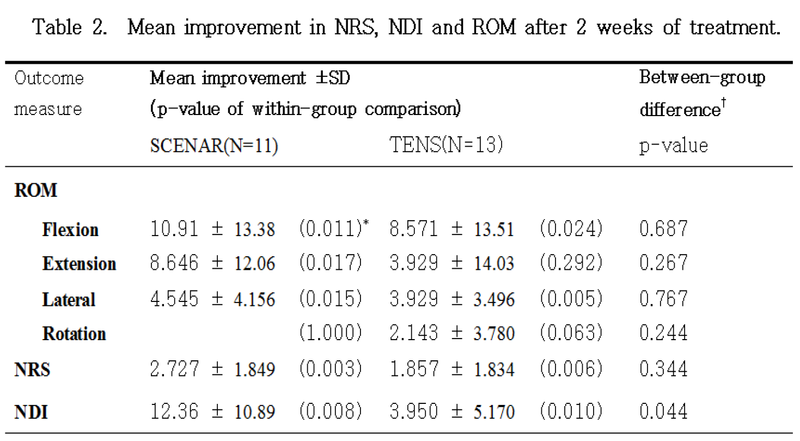 This study aims to examine the effectiveness of a new therapy, SCENAR therapy, on pain and disability in patients with chronic neck pain through comparison with Transcuteneous electrical nerve stimulation (TENS) therapy. 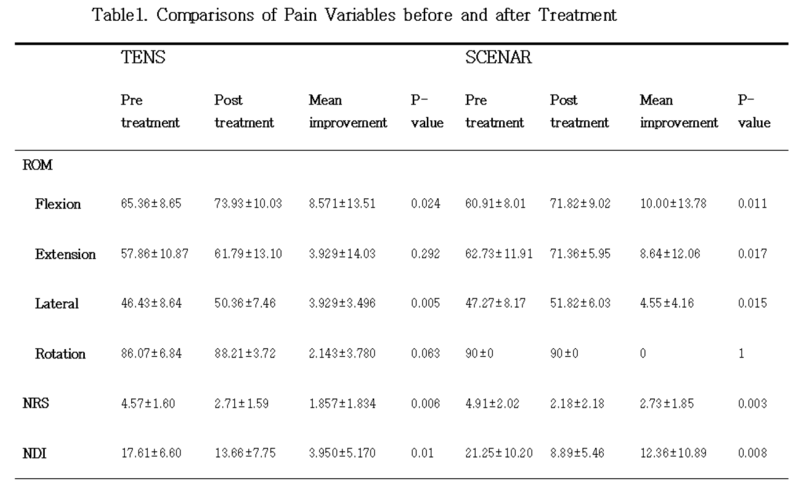 Methods: We studied 30 elderly patients with chronic neck pain of more than 3 months duration. The subjects were randomized into two groups receiving (1)SCENAR therapy or (2)TENS therapy (control); three times a week for two weeks. The patients were assessed before and after 2-week treatment using three measuring tools such as Numeric Rating Scale (NRS), Neck Disability Index (NDI), and Range of Motion (ROM).